So without further adieu, here are this month’s top performers. The ability to target specific topics in search engines. 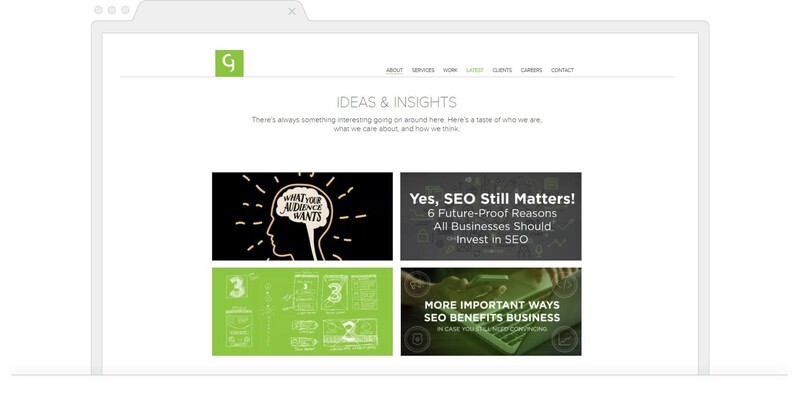 And one company that hits SEO home run is the WebStrategies team. Their diverse content team knows how to target unique search terms with their writing. And through that, they’re able to generate high volumes of organic traffic. 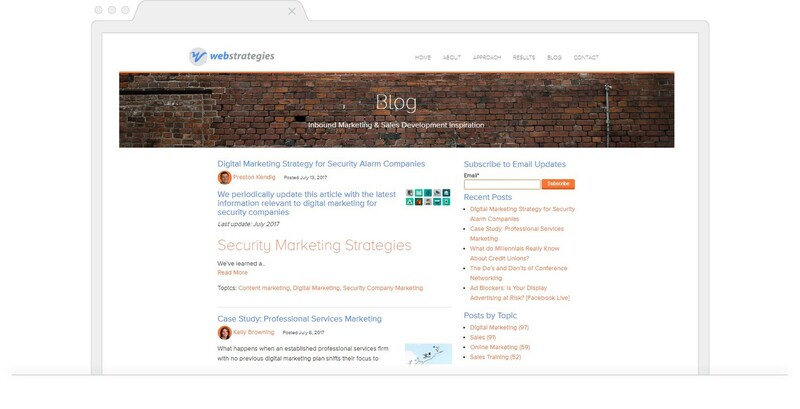 Give the WebStrategies blog a follow and learn how blog SEO works from the pros. Great use of whitespace. A blog is about sharing knowledge and insights. This means you’re asking visitors to process what are usually new concepts. So keep your layout simple and airy. This helps readers focus on your ideas without distraction. Awesome font selection. Font selection plays a major role when it comes to readability. 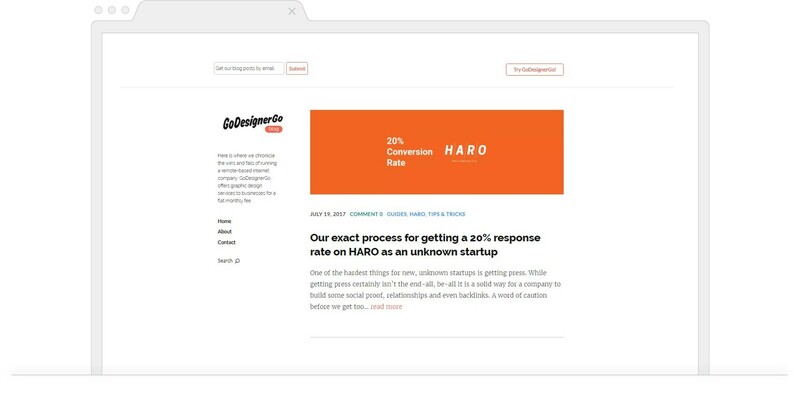 Make blog reading as easy as possible for your readers. Easier reading leads to higher blog engagement. Promoting your blog on social media sounds easy enough. But to get real engagement from industry peers is no walk in the park. It takes time, creativity, and a targeted strategy. 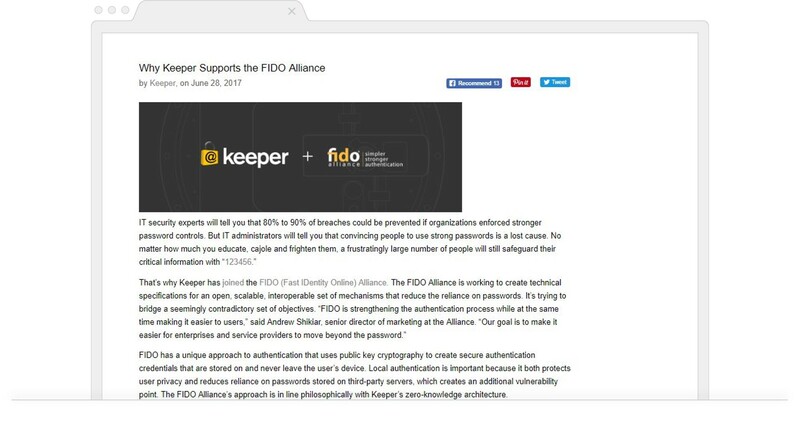 So, when we came across the Keeper Blog, we were impressed, to say the least. Share your content on relevant networks. This is where your audience is, so sharing content here gets impressions to the right people. Don’t be afraid to promote the same content frequently. Promoting a blog post isn’t a one-and-done task. You have to keep at it. Share a single post often and A/B test different messaging styles and share images. A blog is a platform for communicating with customers. So, you have to tailor writing style to their preferences. One blog doing this right is home to Garfield Group. Garfield’s content writers use a perfect blend of reading ease and content complexity for their blog. Not tailoring your writing to your audience is going to result in a lack of engagement. Which is the complete opposite of your blog’s purpose. That does it for this month’s edition of our top blog roundup – make sure to check back in next month to see if your blog made the list!